Category Archives for "Small YouTuber Experience"
MAJOR CHANGES to YouTube Partner Program | No More 10,000 Views WOW!!! Major changes by YouTube to the Monetization policy. Those of you who have been waiting with your 10,000 Views Need to Watch This. This change affects all of us. In this video Dan Currier discusses the Top 3 Reasons Why We Lose Subscribers. Like it or not, we will all loves subscribers during our YouTube career. It is important to understand why an expect it. 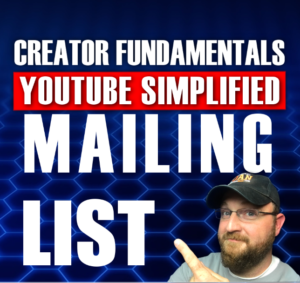 In this video Dan Currier shares the tips and strategy for getting your first 100 subscribers and beyond. There is a lot of work in growing a YouTube channel and many things to consider. This video will help you sort them out and begin growing your channel or grow your channel faster. Join Dan Currier as he discusses the merits of Clickbait. Is it smart marketing or a four letter word? What do you think about clickbait? In this video Famous from FLV Videos and Pokemon Go fame, shares his Top 3 Tips for Mobile Gaming Channels. Ever wondered how to capture your mobile screen or what strategy is best to set you apart from the crowd? Well be sure to check out the whole video to learn about this and more. Join me, Dan Currier, as I share a tool proven to get you more views, watch time and subscribers. We all want to grow faster on YouTube. 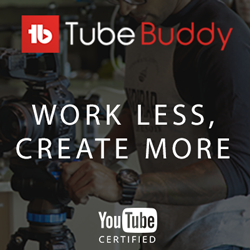 This tool can help you improve the traffic to your YouTube channel, and build some relationships with other small YouTubers along the way. Join me, Dan Currier, as I explain the right way to use comments to promote your channel on other YouTubers’ videos and also how to handle comments on your videos. Don’t fall into bad habits that can negatively affect the growth of your YouTube channel. Join Dan Currier as he explains the top 5 mistakes small YouTubers make that can prevent your YouTube channel from growing. 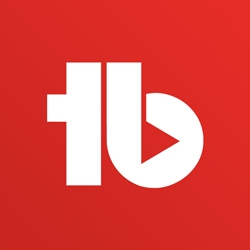 If you are serious about growing your YouTube channel, be sure to avoid these mistakes.